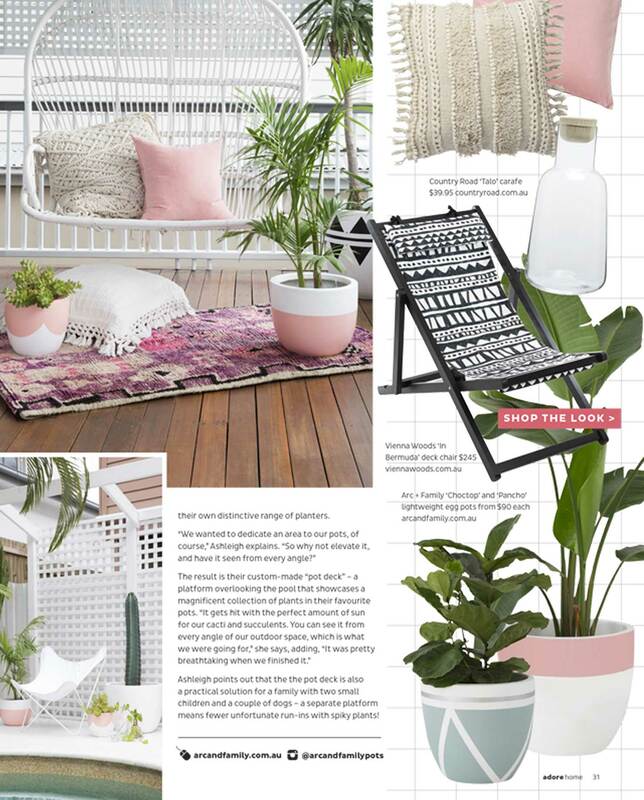 For Ashleigh and Ben Keily, relaxing at home in inner-city Brisbane is all about being outdoors. 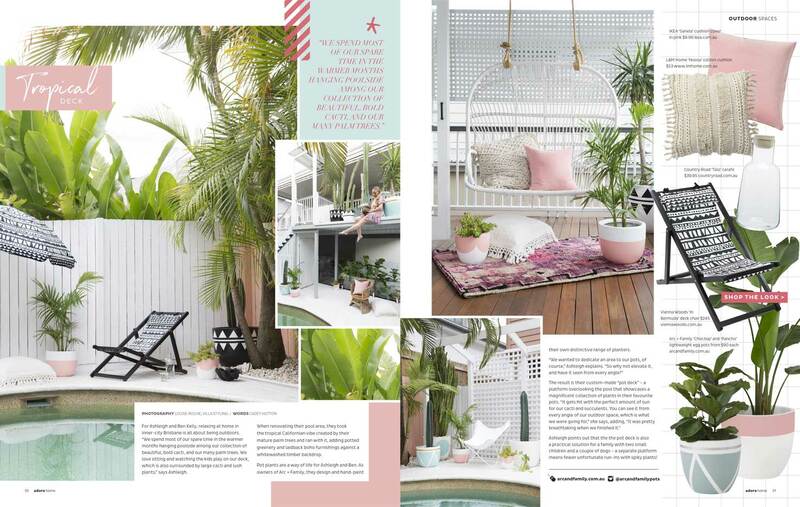 When renovating their pool area, they took the tropical Californian vibe created by their mature palm trees and ran with it, adding potted greenery and our laidback boho furnishings against a whitewashed timber backdrop. 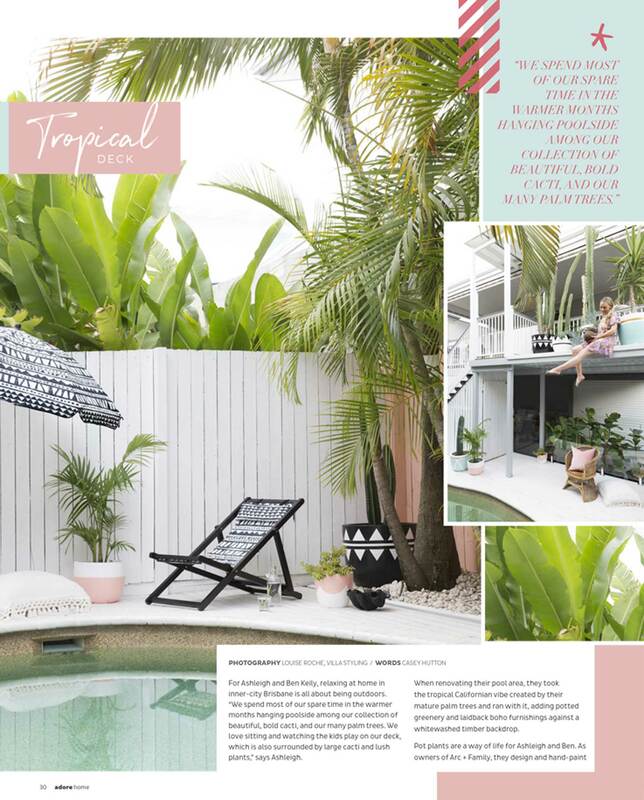 The Vienna Woods ‘Bermuda‘ print features on a sun umbrella, deck chair, cushion recliner and bean bag.